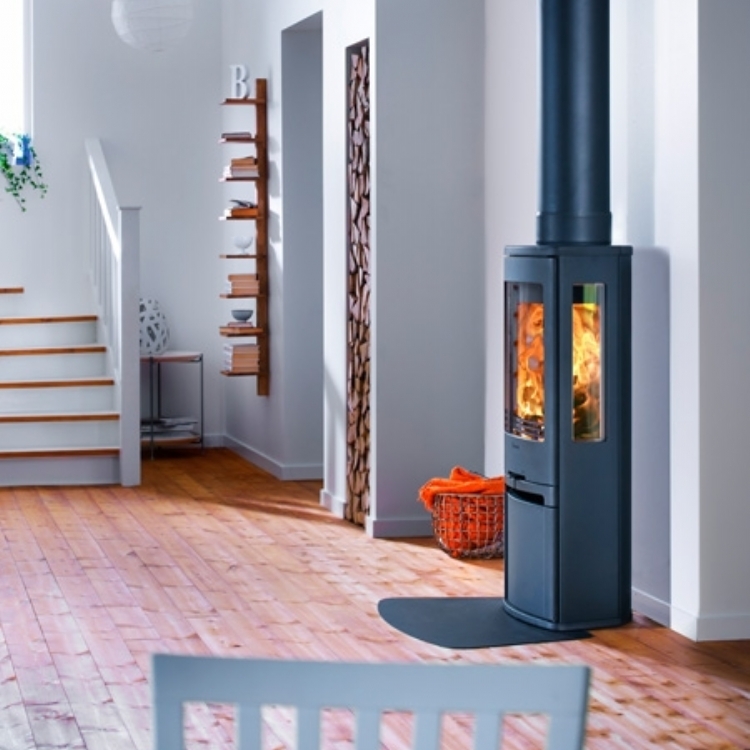 Contura 556 on a square hearth wood burning stove installation from Kernow Fires. 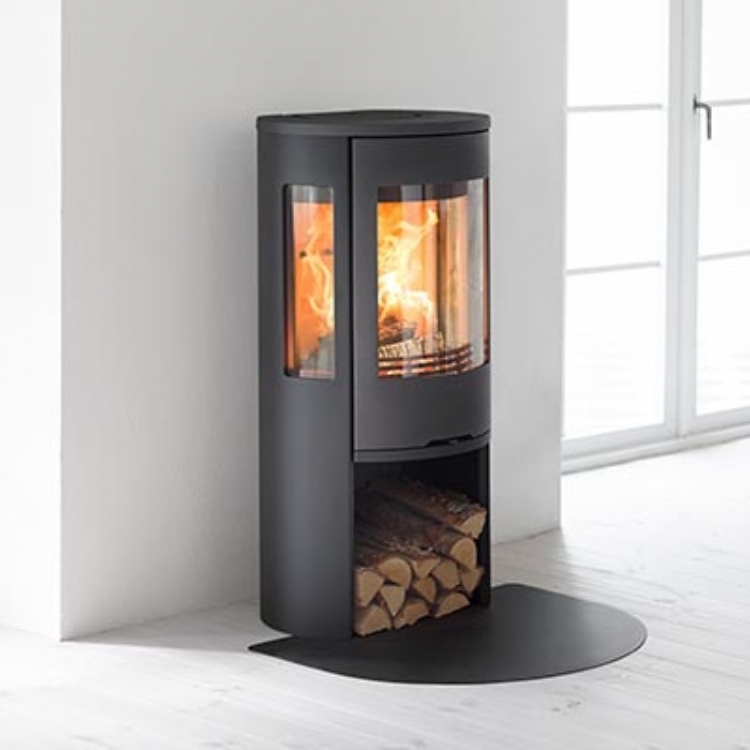 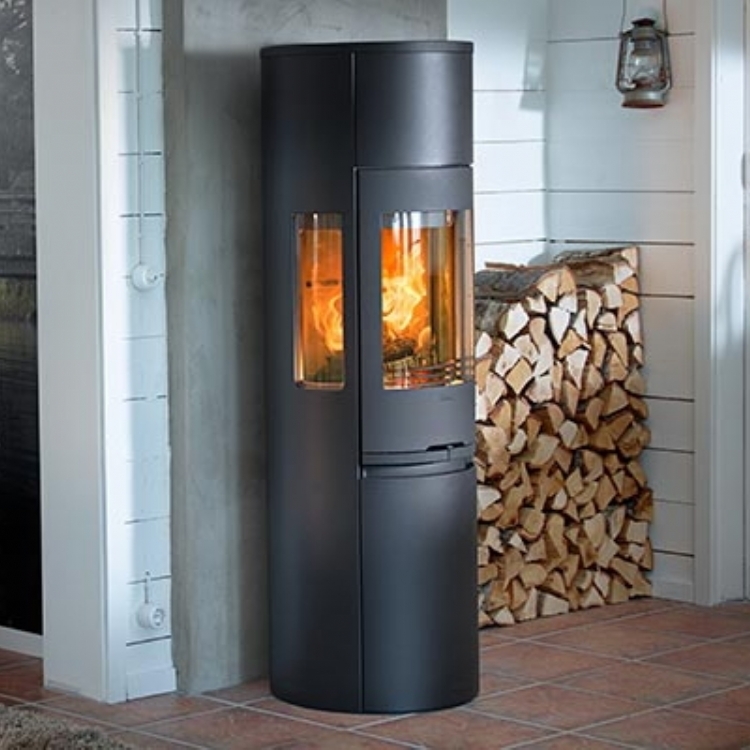 The Contrua 556 is a contemporary freestanding stove with side windows. 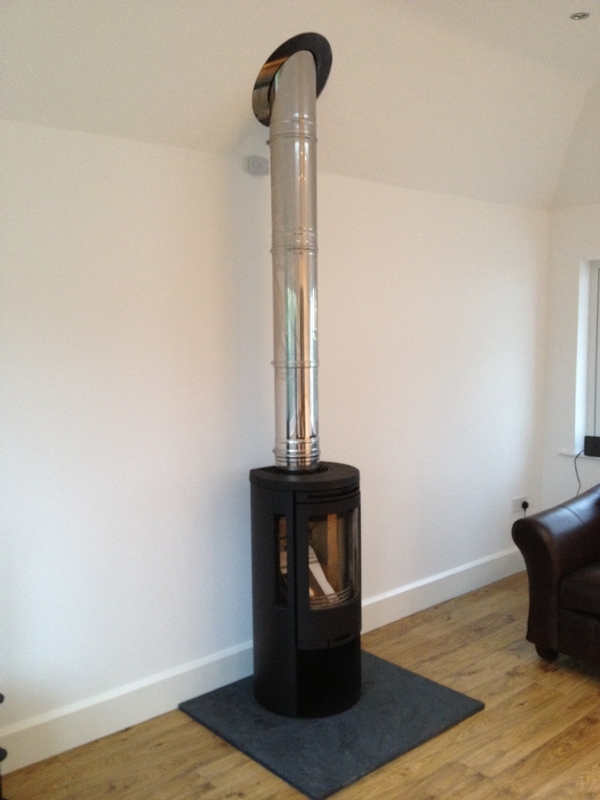 Here it has been installed using a twin wall chimney system and the honed slate hearth has been made to order.